I came across this statement while doing some online reading about church planting. After 3 1/2 years of church planting in Del Rio, I sensed this statement was written just for me. I have never been comfortable as a church planter, having served in traditional churches my entire time as a minister. For me, City Church Del Rio had to be very different than what I knew as church. I needed to experience a total reliance upon God like I never have before. I need others to come along and join me in this experience. The reason I say that I have been uncomfortable is because church planting goes against my every being of the way I do things. Growing up in a very structured household, and then having served 7 plus year in the US Army, I always have know structure as a way of life. Don’t get me wrong, there is some sense of structure to church planting, it just isn’t as visible as what I would call normal structure. Church planting has allowed me to do things I would never do in a normal church structure. I am allowed to lead others to dream with me and even though it may really seem impossible, God allows me and those of my team to make sense of it through the power of the Holy Spirit. I plan to expand some more on my journey as a church planter in the upcoming days and weeks so that you may be able to catch a glimpse of the God I have so enjoyably been able to walk with. Are You on Track if You Lead a Church of Less Than 100? Most of the time church planting is a long, hard slog. I came across this article and really thought of this as reality. I lead a church of 80 or so at the beginning stages of year 2. I sometimes feel as if the growth isn’t going fast enough and as numerically as it should be. You too may feel that way too. Read the article below and be encouraged if you are a church planter! Every church leader or pastor desires ministry to be fruitful and to influence their community. But we need to be reminded that we can no longer depend on the success of the past to be the shelter of our future. Older members of any given church typically seem more nostalgic about the past and use that as a measure of success in the future. It is important to remember, however, that culture has changed in such a way that it becomes misleading in many places to expect the numerical success of the past for a new generation. Several years ago, at a conference at Saddleback Church, I noticed that all the other speakers were pastoring a church between 5,000 and 25,000. However, what they also had in common was they had planted churches in another era. At the time, I was pastoring a church whose size was far less than 5,000. When it was time for me to speak, I kept looking at Rick Warren out of the corner of my eye. I was scheduled to preach at Saddleback on Sunday, so I did not want to tick him off! But I also had something to say. I told listeners that conferences like this are great, but that they can also be really confusing and disheartening. When you drive onto Saddleback’s property, if I recall correctly, you drive up a four-lane highway called Purpose Drive and then you come to a stop light at Saddleback Way before parking your vehicle and entering one of the many entrances into the main sanctuary. Let me be clear: I’m not saying that everyone in the next generation isn’t going to reach as many people as they would like. There will always be outliers. I know of numerous faithful church planters who are attracting relatively large numbers. There are stories of tremendous, immediate success. We praise God for these situations. But we also need to acknowledge the reality that most of the time church planting is a long, hard slog. And it is a lot harder than it used to be. The typical church plant averages around 100 in attendance until after the four-year mark. Most churches in the U.S., in fact, have 80 people or less attending their weekend services. Pastors and planters should know the statistical realities of the average church instead of assuming they are a disappointment if they don’t match the atypical success stories they see at conferences or read about in books. It is for this reason that I launched the Breaking the 200 Barrier series. It is time we have more chastened expectations; this, in turn, will make us more likely to succeed. A Lifeway Research study found that one of the four correlative factors to church-planting success was coming in with realistic expectations. So, you are probably not going to have 1000 in a year, and it will be harder than you think, but knowing that will help you reach people as you grow. Now, I know that does not fill conferences. People don’t rush to attend a conference with the guy who failed at planting a church or the one who took six years to get to 100. But the truth is, speakers who pastor or lead smaller churches are in the ideal situations to give practical help and encouragement to pastors struggling to reach their community. Having a right perspective always helps. Let me share an illustration from how I watch television with my daughters. To help them realize that what they see is mostly unrealistic, we actually google pictures of the women on the screen without make-up. We do this so my daughters can have a better understanding of beauty and perception. Similarly, church planters need to know that the expectations they see on conference platforms are unrealistic. Pastors need to remember that ministry in the past should not serve as the only measuring stick for ministry in the present. If we don’t remember this, then planters and pastors may see the tremendous success on the stage or in the past and assume they are failures if they don’t reach those virtually impossible-to-reach levels. It is past time that churches measure success based on the current realities of their cultural context instead of past glories or present-day anomalies. Ed Stetzer holds the Billy Graham Distinguished Chair of Church, Mission, and Evangelism at Wheaton College, is Executive Director of the Billy Graham Center for Evangelism, and publishes church leadership resources through Mission Group. 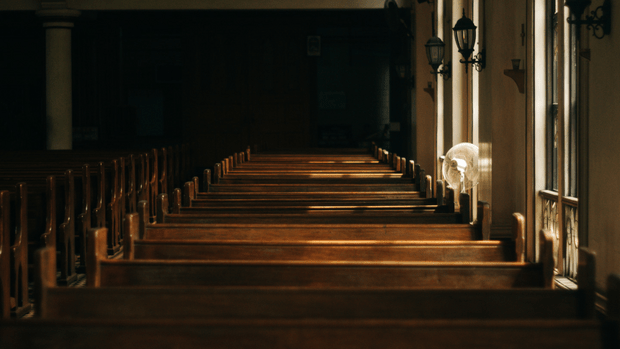 We Followed the Steps – Where’s the Church Growth? This article really ministered to me today. All pastors should feel this way about their churches. There are no guaranteed steps to church growth. Because the church is people. And people don’t come with guarantees. So, what’s a pastor to do? Here’s the only advice I know. Faithfulness doesn’t help us reach our goals. Faithfulness is the goal. Discover what you and your church are supposed to be doing, then stay faithful to that mission and ministry. Faithfulness doesn’t help us reach our goals. Faithfulness is the goal. Keep doing healthy, contextualized ministry. Remove any obstacles to growth and health. Stop comparing ourselves with others. And quit offering excuses. Let God bring your church the kind of growth he wants. Even if it’s not the kind of growth you want. Or the church across town has. Let Jesus build his church. Pastors aren’t called to grow bigger churches. We’re called to makes disciples. Equip the saints. Lead healthy churches to become redemptive communities filled with passionate followers of Jesus. Reach our community and world together, no matter how many people do or don’t end up in our seats on Sunday. If you’re doing that, no matter how big or small your church is, you’re fulfilling your calling. Community is one of those buzz words churches use today. I believe with all my heart many churches do want to do church as community, but really don’t know how to do it. We are by no means experts at it, but as we continue to seek opportunities to be the presence of Christ, this was one of those times. We partnered together with the community man himself, Mr. Hector Guerra in the 10th annual Back to School Health fair and backpack giveaway. Over 2,400 people came through and to our table. One question I asked as the families came through was this: Do you currently go to church? If they answered yes, then I encouraged them to keep on going. I never want other churches to think we want them to come to our church instead. There are plenty of non-church going people in our community that we can invite to church. As I would ask that question, I did receive some expressions indicating why I wouldn’t invite them or talk about City Church if they indeed were going to a church already. I am friends and co-laborers with many of the pastors at our sister churches. We are all doing the same work. We are all in the same business. We are all on the same team. We are all trying to figure out how to make church relevant to a current generation that sees church as irrelevant. that is why we need to be out in the community among the people. 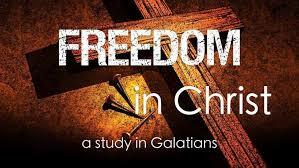 Sunday, July 24 begins a new journey through the book of Galatians for City Church Del Rio. As we begin to close out the summer, I want us to be prepared for the upcoming fall. You might ask, “why?” Thus fall has been on my heart for City Church Del Rio to begin its growth journey. Every church that was started in the New Testament was a growing church. If we are modeling City Church after the New Testament churches, then we will grow. Of course, we will be doing our part, which is identify, intercede, invest, and invite those who God lays on your heart to come and be part of this new movement, called City Church Del Rio. Together, we can be the church God has called us to be. A growing church can be one of the most exciting times in the life of a particular congregation. New people, new excitement, new believers, new needs, and a lot of newness. Sometimes with growth, there is chaos with the current membership. Change is the one thing in any situation that many people do not like or except. In a church setting, it can begin to fell like an us verses them scenario. When there is growth taking place, new people come into a church and things change. Many times we are too concerned about our needs, our preferences, and our comforts in the church. When churches grow, groups are the key to maintaining intimacy. As a church grows larger, it has to grow smaller through groups. Worship style continues to be an explosive issue in many churches. Don’t just explain the what of a change but the why as well. I am posting an excellent article by Thom Rainer. Let me know what you think. It is highly unusual to hear church members say that they don’t desire their churches to be obedient to the Great Commission. Indeed, it is common for the members of a pastor search committee to tell a prospective pastor that they are looking for a leader who will guide the church toward growth. And most church members do desire to see their churches grow . . . until the growth affects them. It is at that point they can become disillusioned and critical. So what is it about growth that impacts some members negatively? Let me suggest seven reasons. Loss of memories. I recently heard a poignant story from a lady whose church was demolishing the old worship center to build a new one to accommodate growth. She and her husband were married in the old worship center. She understandably grieved at the loss of that physical reminder of their wedding. Loss of comfort. Growth can mean that the closest parking spots are no longer available. Growth can mean that the traffic flow in the parking lot is more difficult. Church members can feel that their creature comforts are compromised by growth. Loss of power. New people in a church can mean that power bases are diluted. The growth can result in new influencers in the church. Some of the longer-tenured influencers may not like that. Loss of perceived intimacy. It’s a common response: “I used to know everyone in this church. I just don’t feel as close to members as I once did.” Indeed, growth can mean that all the members may not know each other as they did when the church was smaller. Loss of worship style. New members and attendees might have different worship style preferences. They often influence church leaders to make changes. Existing members may resent these changes. They might also start worship wars. Loss of worship time. Growth in the church may necessitate adding worship services or changing times of worship services. Some members may be frustrated that they have lost “their” worship time. Obedience to the Great Commission often results in growth in the church. But growth in the church is not always received well by some members. Some of these members have an attitude that the church is there to serve them and to cater to their needs. Healthy church members understand they are to be giving and sacrificial members of the body of Christ (1 Corinthians 12). They will rejoice when more members join the fellowship, and when more people become believers in Christ.